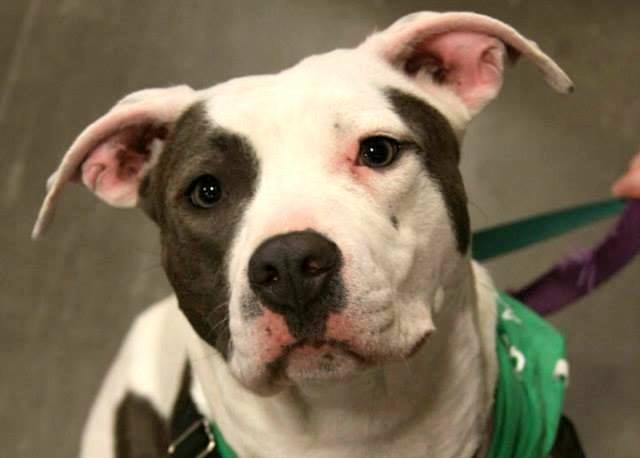 CanCan is a year and a half old pitbull mix from Lucky Dog Animal Rescue. This happy-go-lucky girl is just as lovable as can be – she’s attentive, wants to please her people, and likes playing with other pups too. 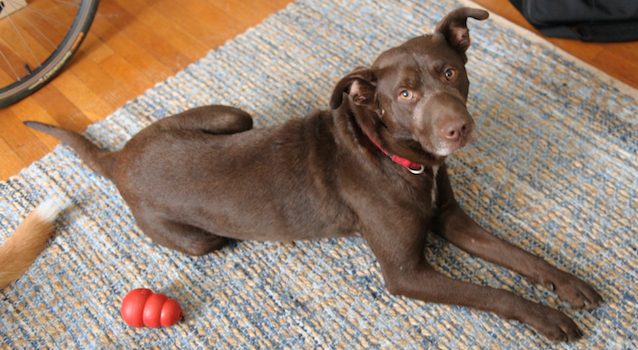 She has lots of energy, adores “Fetch!,” and is a ton of fun to play with. If you think CanCan would be a good forever fit, please contact Holly. We have many adoptable animals, so feel free come check us out at one of our events! Aladdin and Jasmine are six month old kittens from Homeward Trails Animal Rescue. 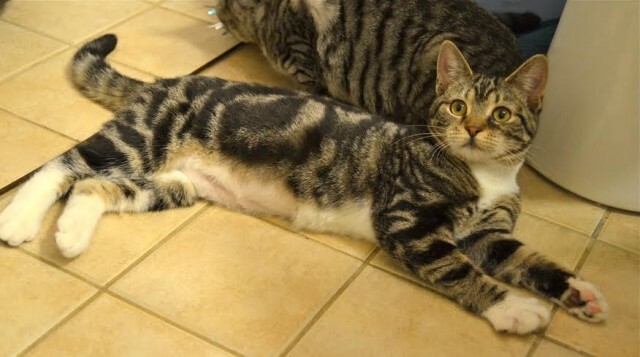 This brother-sister pair grew up in the shelter together and would love to find a forever home together or homes with resident kitty companions. Jasmine (above) is the outgoing one, while Aladdin is more the shy, cuddly type. If you think Aladdin, Jasmine, or both would be a good fit for your home, please fill out our cat adoption questionnaire and email here. You can also meet some of our adoptable animals at one of our events! More great pets after the jump. Hannah is a two-year old boxer mix from Rural Dog Rescue. As you can see here, this sweet girl smiles, wags her tail, and loves to have her ears scratched! She has a bundle of energy and is very treat motivated, responding to commands such as sit & down. 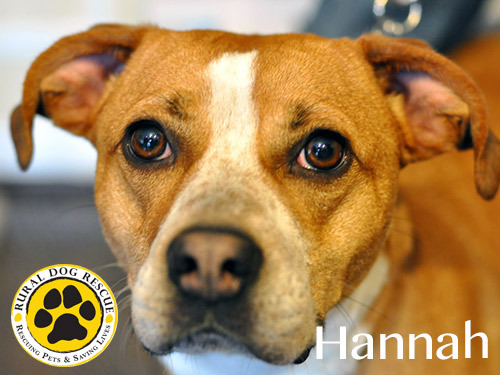 If you would like to adopt Hannah, or any of our animals, please send the adoption application here. To foster, please send the foster application here. You can meet our pups at our adoption events held every Saturday at Howl to the Chief from noon until 3pm. Jackie – Tails High, Inc.
Jackie is a five-year old beauty from Tails High, Inc. Though reserved at first, much to everyone’s delight, she calms with petting and kneads and purrs when picked up. She likes to scamper after laser pointers, and she quickly makes friends with other animal companions. 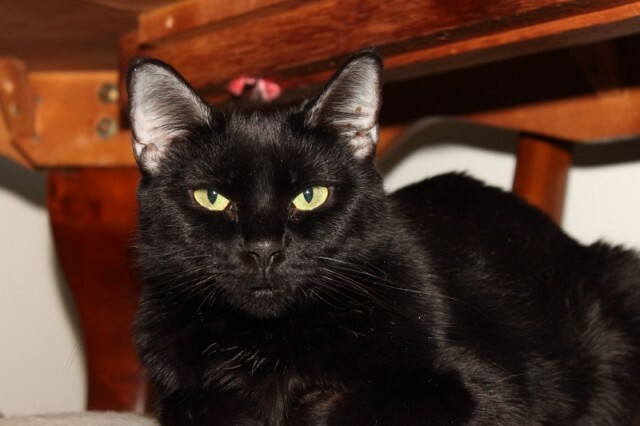 She would love a quieter home and, all the better, with another cat (or dog!) for her to befriend. If you would like to adopt Jackie, please complete our adoption application on our website. You can also visit us at one of our upcoming events! Koa is a three-year old lab mix from City Dogs Rescue. Koa is a friendly, outgoing pup that would love to be your companion and likes other pups too! He knows his basics commands, loves to run and play, and does well in a crate – so far, he is accident free! You can apply to adopt Koa or any of our available dogs on our adoption page, apply to foster one of our pups here, or meet some of our pups at one of our upcoming events!